Life is a marathon, not a sprint! Give yourself the tools and techniques to make it to the finish line every day with Resilience. 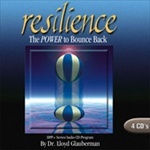 How do you get your body, mind and spirit to bounce back? How do you set the right pace so that you don�t get burned out in the first place? Put yourself on the right path with Peak Experience, part of The Edge of the Metaphor series. Peak Experience is part of The Edge of the Metaphor series, which focuses on the renewal of balance in the core areas of our lives � Body, Mind, Spirit and Interpersonal Relationships. Find yourself relaxed and stress-free, able to control negative emotions and fully participate in all that life has in store for you. Meditative Relaxation is part of The Edge of the Metaphor series, which focuses on the core areas of our lives- Body, Mind, Spirit, and Relationships- and is structured around renewal and balance. 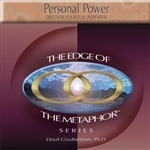 Give yourself �THE POWER TO COPE� with Personal Power, part of The Edge of the Metaphor series. 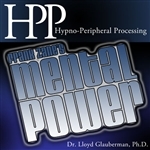 Personal Power is part of The Edge of the Metaphor series, which focuses on the renewal of balance in the core areas of our lives � Body, Mind, Spirit and Interpersonal Relationships. Everyone has stress in their lives � but not everyone manages it the same. 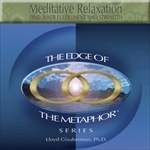 Transform and enhance your natural ability to relax. 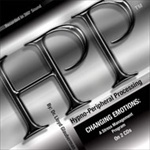 Changing Emotions uses Lloyd Glauberman�s revolutionary HPP method to unlock the power of your unconscious mind - transforming and enhancing your natural ability to relax and feel comfortable in the world around you. Whether you are struggling to improve your health or are looking to remain in a state of well-being, this is a �must have� program for you. Research has shown that our thoughts and emotions play an important role, not only in the way we feel, but whether we are healthy or sick.